Tonight the San Francisco Planning Department will present its very preliminary overview of the Railyard I-280 Boulevard Alternatives Study. I encourage you to attend if you missed the first meeting. And if you are for better rail, better pedestrian connections, and if you have concerns, or just want to support, please go and be vocal. Don’t let one voice smother the other voices in the room or in the conversation, even if we don’t all agree on something. The Railyard I-280 Boulevard Study is a mouthful to say and not easy to explain in a short sentence. But I’ll give it a try: The study is looking at local and transportation networks in and around Mission Bay to build a better rail tunnel to Downtown San Francisco, create safer access in and out of Mission Bay by removing rail and freeway barriers in this growing neighborhood. In addition the study looks to consider opening up land to new housing, parks and office space. 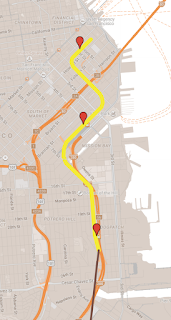 Although much of the media attention and the resistance to this study has focused on the removal or “tearback” of 1 mile of I-280, most of the study is really about the rail tunnel and the chance to better connect Mission Bay, for both pedestrians, but even cars, into the rest of San Francisco. So if you read reports about this project and they don’t mention rail or a tunnel know that the article is only focusing on the folks screaming the loudest, and not looking at the whole picture. In fact, most of the ideas proposed in the report can be mix and matched – included or left out. 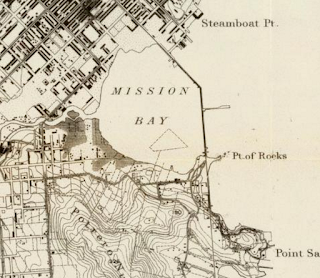 San Francisco was once a great industrial and ship building city with many factories, railyards, warehouses and drydocks, including Mission Bay. 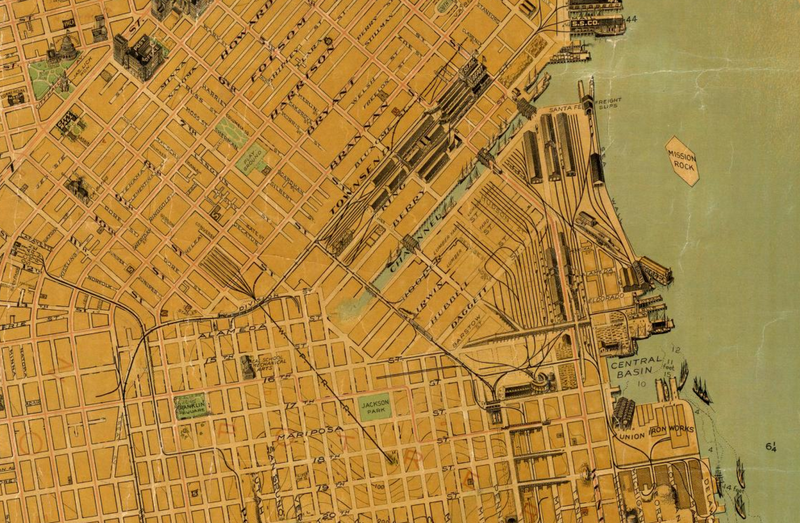 Railroad tracks once coursed through much of the eastern neighborhoods of San Francisco on its streets and onto its piers. In the 21st Century, some of these areas, have become new residential and employment neighborhoods with smatterings of warehouse and industrial uses remaining. Most of the railroad tracks are paved over or ripped out. 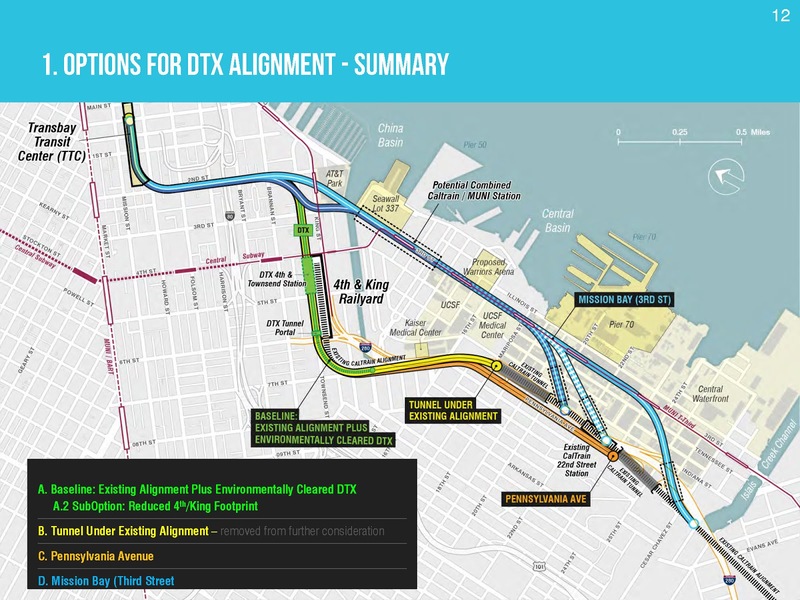 Now the T-Third line rolls down Third Street, and voters approved to bring rail to the heart of downtown San Francisco’s Transbay Center; currently under construction, the rail tunnel not yet funded. 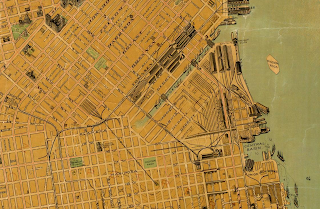 With these changes comes the need to ensure that these new neighborhoods are well connected into San Francisco’s grid and not separated, as they once were when they were industrial. Likewise, reviewing the plans and financing of a new rail tunnel to Downtown is necessary to move the project forward. San Francisco’s Planning Department is addressing these changes in and around the Mission Bay neighborhood with the Railyard I-280 Boulevard Feasibility Study. 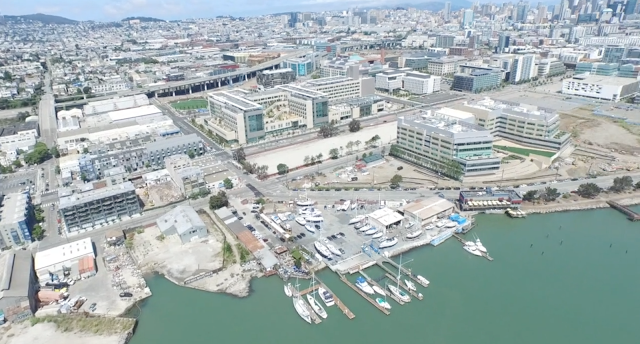 The study is looking at the three-dimensional landscape of Mission Bay with its streets and rail on the ground, freeways and building rising into the air, while water pipes and future trains run underground. The report asks how to best move people, cars, bikes, buses and trains safely and efficiently through the area while also better connecting the new neighborhood into the city through removing the historic barriers separating this former industrial from its neighbors. 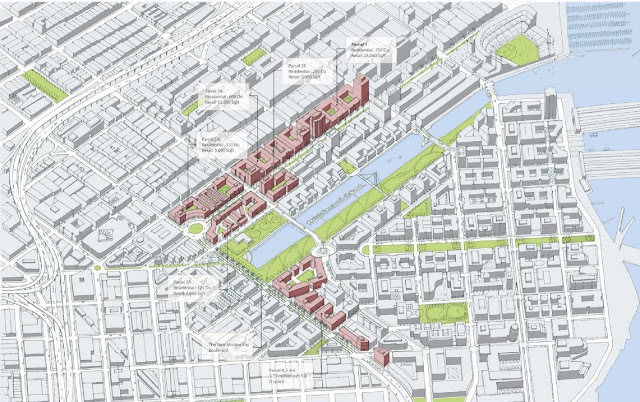 The study is also examining how to improve both local and regional connections while also seeking opportunities for new housing, open space and jobs, all the while consider the benefits and impacts of each component and the overall plan. Before going into the details of the new RAB study, let’s review the recent planning and transportation history of the area. The initiative also called for the City to pursue electrification of the entire Caltrain line, and to consider adding new stations in Bayview/Hunters Point and Visitacion Valley. The tunnel, called the Downtown Extension (DTX), will connect the center of Downtown San Francisco with the 4th & King Station as well as all Caltrain stations at points southward. Studies began to examine how the Caltrain Railyard might be redeveloped either through a deck or by removing the railyard altogether. 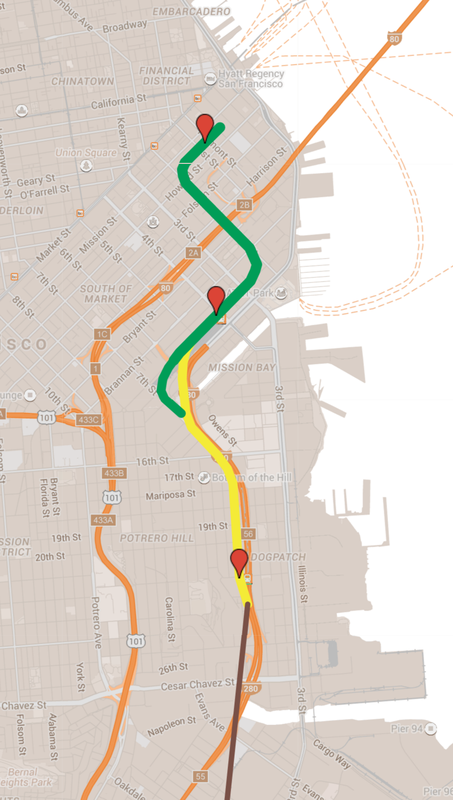 The city determined that the CA-HSR plan for San Francisco would require a street underpass/trench to grade separate street users from frequent trains, and create a very inhospitable environment for pedestrians, cyclists, and more. The underpass is also needed so cars can flow between neighborhoods without a crossing gate being down half the time for trains. The city, in light of the grade separation challenges along 7th St, began reconsidering where a Caltrain tunnel could be built, in part to address the 16th St crossing, but also help reconnect neighborhoods and potentially straighten the tunnel to improve operations. HSR announces first phase of operations will be to the Bay Area between Bakersfield and San Jose. The RAB study is broken up into the following parts that all focus on some element of transportation. Because each of these five elements are somewhat independent of each other, but could benefit if planned together, it’s a bit hard to wrap ones head around all the complexities and possibilities of this project. After the list, I’ll try to break it down to a simple analysis. Most of these elements are interchangeable and not dependent on the other parts, but may deter or enhance the results. · Allows reconstruction of 22nd St Station. 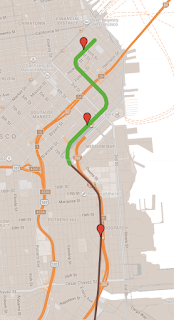 · Created NEGATIVE 16th St & Mission Bay Boulevard crossings, esp. for pedestrians & bikes. · Uses approved alignment plus follows 7th Street and Pennsylvania St further south. 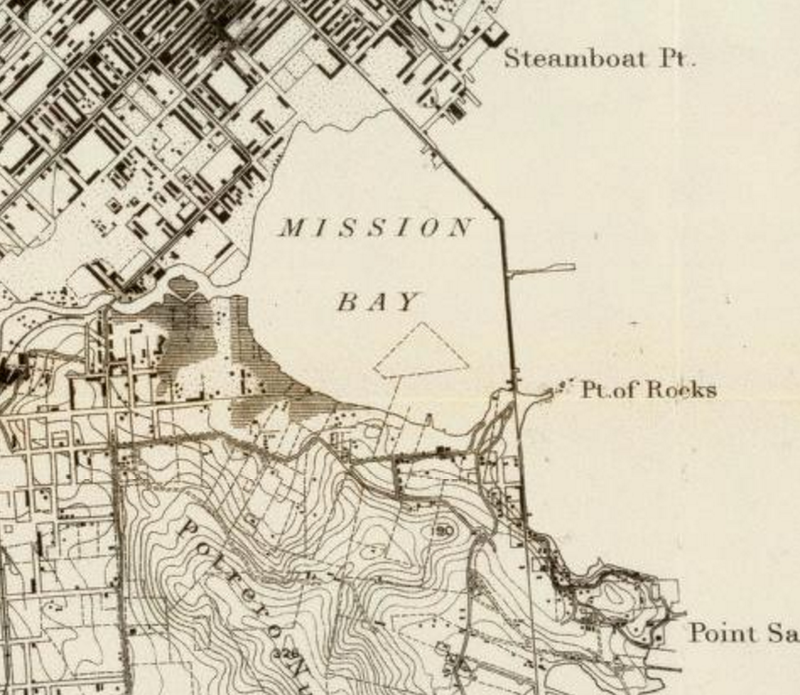 · Potential impact to city utilities at 7th St & Mission Bay Blvd. · Uses approved alignment plus follows 3rd Street further south. · Construct without affecting Caltrain operations. · Mission Bay Station relocated to Third Street directly below T-Third. · Allows reconstruction of 22nd St Caltrain Station. Not included in the options, but one to consider is a phased tunnel. Build the Townsend/2nd Street tunnel first, then when funds and planning is in place, build the Pennsylvania Option to the portal of the Townsend/2nd Tunnel. · Allows Caltrain to reach Transbay Center sooner, but create benefits of longer tunnel once HSR service begins. 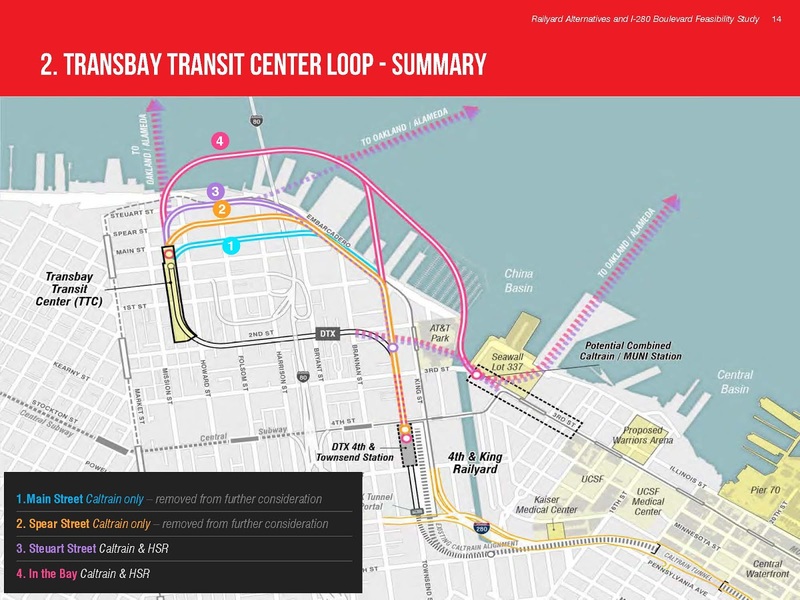 Current plans for train service to the Transbay Transit Center (TTC or Transbay Center) call for a stub end station with trains going in, stopping and backing out. This is the same as the current 4th & King station. However stub end, or “terminal” stations are less efficient than through or “pass through” stations because train operators must go from the front of the train to the back of the train, which becomes the new front. In addition, as there are no “tail” tracks at the Transbay Center, trains cannot be moved away from the platform for cleaning or other small needs between scheduled service runs. Most terminal stations have many extra tracks, like 4th & King, Union Station in Los Angeles, or Grand Central in New York City. 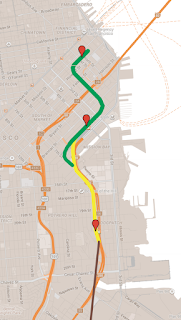 However, the Transbay Center will only have six tracks in the station. A through station would allow for more trains per hour to pass through the stationf due to only dropping off and picking up passengers. Cleaning and turning around the train can occur at a less busy station – in this case when it returns to 4th & King or at an Oakland station. 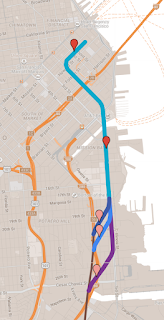 Options that could only accommodate Caltrain but not HSR were dropped. Railyards are used for storage, operations, and sometimes maintenance. With San Francisco as the end station for Caltrain and high speed rail, a railyard is needed for overnight storage at a minimum. The current Caltrain railyard could be kept or relocated. 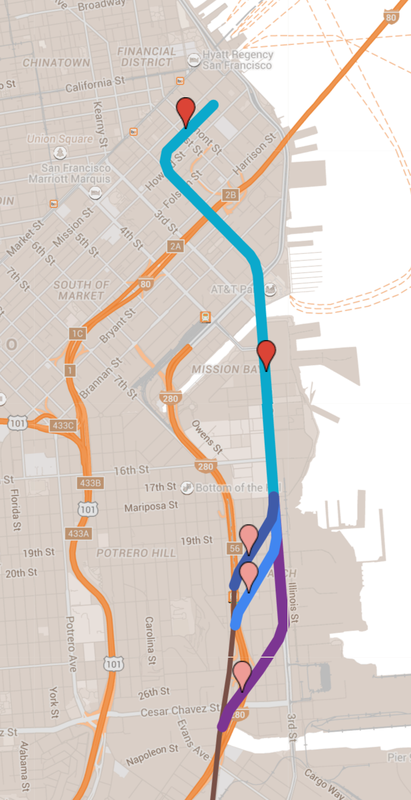 Being only 1.25 miles from the Transbay Center makes it ideally close, and the land already exists. However, relocating it would open of the land to other uses such as housing, office space, and allow for possible reconnecting of the street grid. The options for the railyard included the following, plus my suggestions for railyard locations. Note that the distance the distance between the railyard and the last station can significantly affect operational costs and operational flexibility. The closer the railyard is, taking trains in and out of service will take less time and cost less. The farther it is, the longer the "deadhead" run of the train is, the more time the train is moving, but making no income from riders. o A smaller railyard means more development potential. o A larger railyard means less developable land for housing, but better train operations and storage. · Not much detail presented. Need to study implications on street and highway traffic. The greatest benefits to pulling back the freeway would seem to be improving the sense of connectivity between Mission Bay and the Design District, plus open up a little bit of land for development (housing or office) and some open space. However, the big opportunity for land is the Caltrain yard, not so much 280. Pulling the freeway back might also distribute traffic better to east-west destinations than under the current setup. However, it could more of a traffic tradeoff - better for SoMa, and King Street, but worse for 16th St and Potrero Hill. A completely different idea would be to reconnect I-280 with the Bay Bridge and remove I-80, and the Central Freeway, but I won't go into that here. Aerial view of Mission Bay centered on the UCSF Medical Center. The rail tunnel could pass under Third St, or along the current alignment next to the I-280 freeway (background left). Unfortunately there is very little money currently budgeted to make any of the RAB study elements move forward. The DTX is a ~$2 billion project. Extending the tunnel further south to somewhere near 22nd Street would likely increase its cost even while providing neighborhood and city benefits. When factoring in the financial challenges plus the logistical and coordination challenges of combining this with many other projects, creating greater project with multiple phases may create a greater interconnected transport system that may more easily find funding due to benefiting more people and parts of the Bay Area. Although more complicated, creating a more complete long term vision that can pave the path to our future may be the better way to go than creating separate projects that may or may not work together and more easily allows naysayers to stop good projects. Let's look at the big picture and get the task force going, and building our future now.